Life in the Doghouse, directed by Ron Davis the award-winning filmmaker of the NY Times Critic’s pick and 2016 box-office hit, Harry and Snowman, tells the inspiring life stories of these two men and the selfless work they continue to do. With a no-kennel policy, there can be as many as 75 dogs living with them in their home at any given time; the dogs also join them on the horse show circuit on their journey of finding their “forever home”. 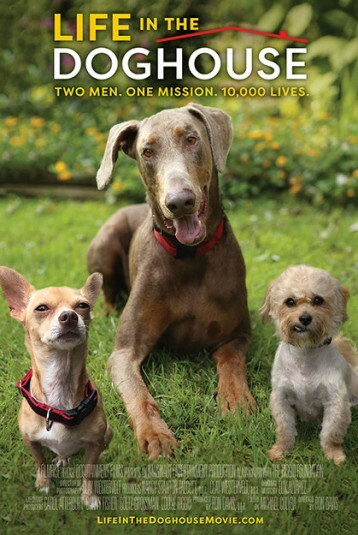 Danny & Ron were honored with the 2008 ASPCA Humanitarian Award for their unwavering personal sacrifice and unique approach to dog rescue & adoption during hurricane Katrina.